The state bird of New Hampshire is a favorite at northern feeders. 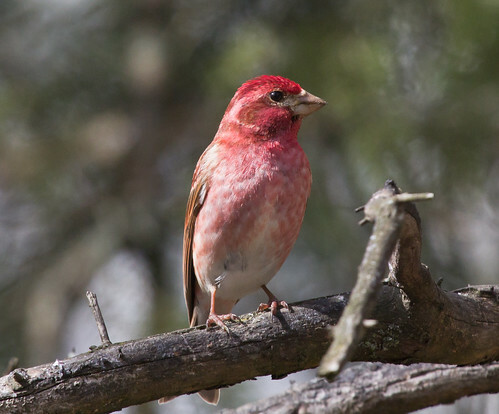 Often mistaken for a House Finch (or vice versa)—notice the wide eye line on both males and females. Males are not purple but wine-colored.